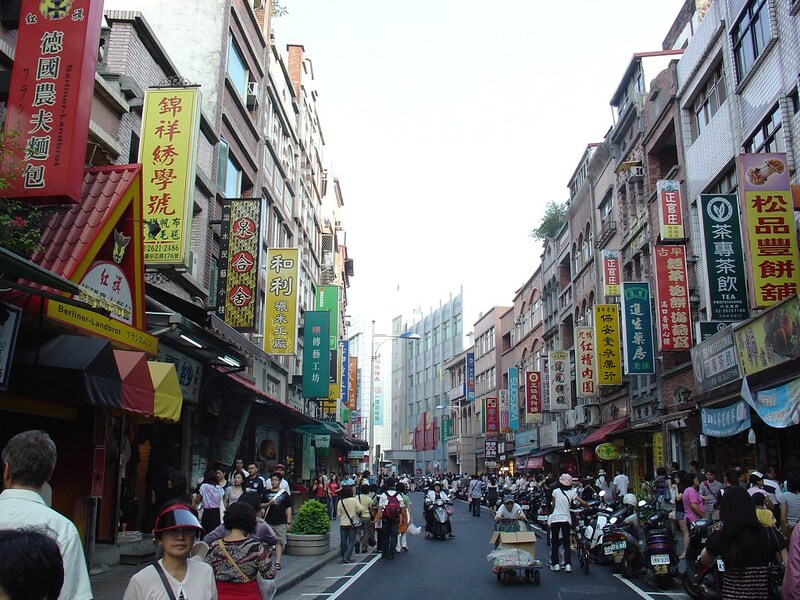 Tamsui Old Street is located along the Tamsui (Danshui) River, this pedestrian shopping area offers tourists a wide selection of restaurants, arcades, and stores specializing in traditional handicrafts. Visitors can sample Tamsui's local specialties: A-Gei (crystal noodles stuffed in fried bean curd, served with a mild hot sauce), fish ball soup, and "iron eggs" (eggs which have been stewed in a mix of herbs and spices until pickled). The area is located right outside the north side of the MRT Danshui Station and stretches north to the ferry docks. Do try the food vendors which are located up and down the strip. Red Hair Castle was constructed by the Dutch as 'Fort Anthonio' in 1641, and gained its present name in reference to the red-haired Dutch. The compound also served as the British Consulate in the late 19th and early 20th centuries. 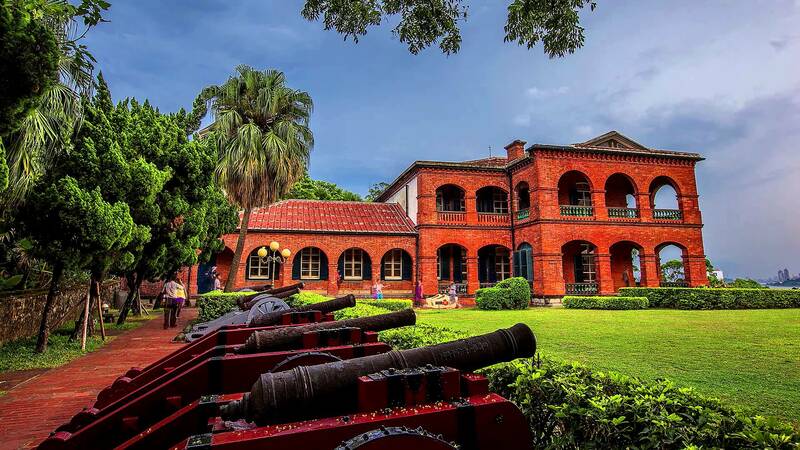 It enjoys commanding views over the mouth of the Tamsui (Danshui) River. Tamsui Fisherman's Wharf is located further downstream from the town itself and offers a boardwalk, chic coffee shops and food stalls, and some seafood restaurants with prices that the average local would consider outrageous (but may seem reasonable to visitors from Western countries). 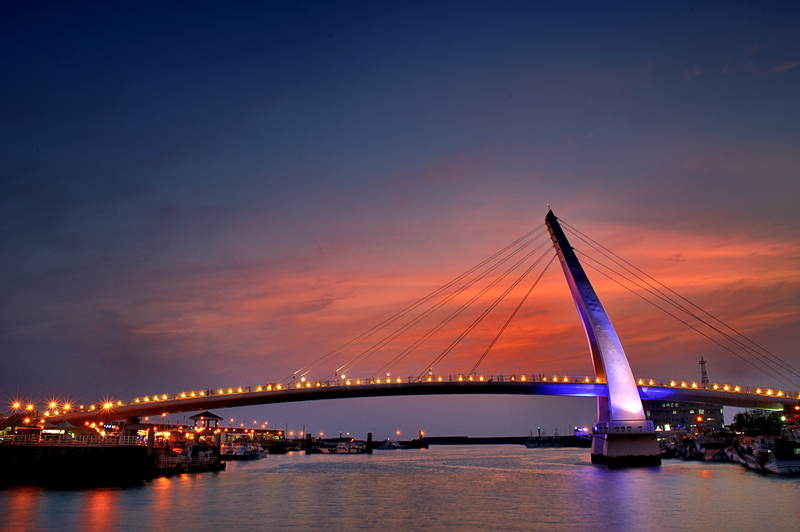 Fisherman's Wharf is also a departure point for tourist boats traveling along Taiwan's scenic northeast coast. The "Lover's Bridge", a single slanted tower cable stay pedestrian bridge, that is modeled after a sailing ship's mast and rigging, spans the harbor. The bridge is illuminated by different-colored lights at night, making this area a favorite with local couples and romantics, and a popular site for shooting Taiwanese serial dramas. Outdoor concerts are sometimes held in the amphitheater, and some of the restaurants feature occasional live music.